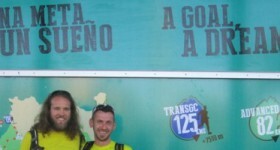 This website is a tribute to all ultrarunners and events related to this small but persistent community in Slovenia. 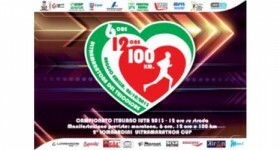 It's dedication is to bring you the latest news and achievements, to introduce you to the events and people behind them, to show you the 'behind the scenes' of this wonderful world of running enthusiasts who 'love to run far'. 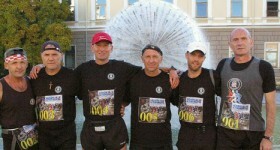 After five days and 344.1 kilometers under sun and rain five runners made it from Zagreb to Vukovar. Boris Ivanovič won the final stage and the race, third time in the row. It is his honor that he can keep a winner’s cup in his possesion. Elvir Rakipović was second and Miro Režonja came third. Mirko Ervarić and Ivo Aničič complete the standings. Congratulations to them. Respect! Our congratulations also go to the organizers from Association of Veterans of Croatian Defence Forces and to all volunteers. Without them this race wouldn’t be possible. 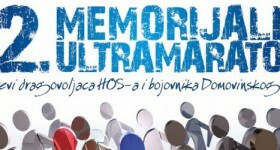 Today’s fourth stage at the 12th Memorial Ultramarathon Zagreb – Vukovar from Slavonski Brod to Osijek was with it’s 84 kilometers the hardest if not the longest one. Unusually warm weather for this time of the year only increased the difficulty of the stage. 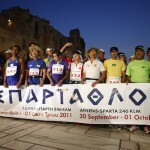 Six runners started the stage and as with previous days the finish line standings were the same. First was Boris Ivanovič, second was Elvir Rakipović, the host of this stage and third was Miro Režonja. As we are writing this report the official results of Day three of the 12th Ultramarathon Zagreb – Vukovar are not published yet. But Miro’s wife Zdenka Režonja tells us that runners have finished the third and the longest stage of the race. 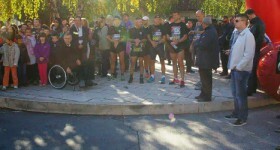 After 90,5 kilometers the first at the finish in Slavonski Brod was Boris Ivanovič in the time of 8 hours and 14 minutes, second was Elvis Rakipović in 9:29 and third Miro Režonja in 10:31. 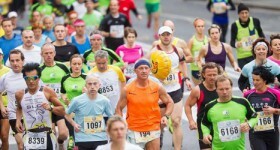 Six runners at the 12th Ultramarathon Zagreb – Vukovar successfully finished first two stages. 122.6 kilometers from Zagreb to Ivanić-Grad and then to Novska are behind them. Sunny first day of running was followed by a rainy and quite cold Wednesday. It was Boris Ivanovič who first crossed the finish line on both days as Miro Režonja came third. race to find out who is the best. 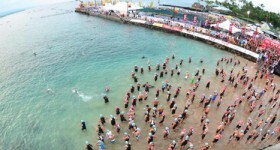 Five minutes after them women pros will start. Ana at 7 AM everybody else, lovingly named age groupers, will join the party. 3,8 kilometers of swimming in high waves, then 180 kilometers of cycling on the rolling roads through gusty wind, and after that a full running marathon under the scorching sun.